Digital Strategy Consulting | Why Change is Important? Transform your digital strategy with the help of Interfacing's BPM Professionals. 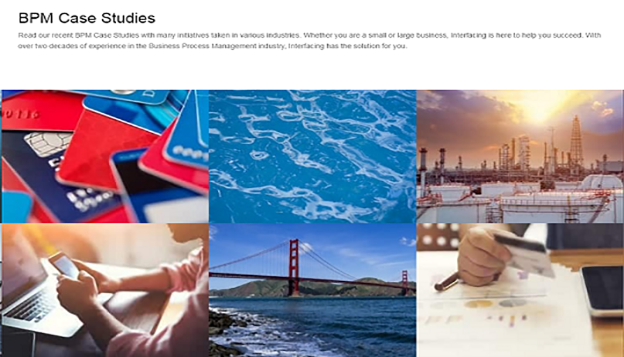 The constant expansion of technologies has made digital strategy consulting a must for organizations of all industries, business models, and scale. Automating tedious tasks and making processes transparent results in better customer service, more effective workplace, and reduction of costs. Businesses are therefore advised to adapt to today’s technological era, becoming more digitized in order to meet demands of the growing globalized market. 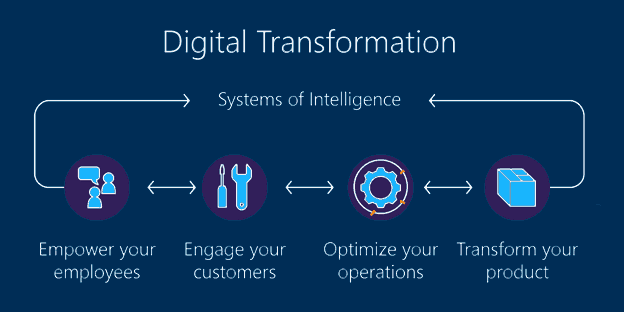 Digital transformation aims to enhance organizations’ operations by keeping them up to date with the new opportunities generated by the latest technological advancements and hence ensuring the organizations’ innovative future. Such transformation requires strong leadership for it is a journey with continuous optimization across the organization in parallel with the continuous technological improvements. By undergoing this transformation, organizations enhance many processes such as customer experience, risk optimization, and corporate control. With intelligent information management, the transformation will facilitate human resources, customer service, and more ways of collaboration which will in turn boost workforce engagement. It’s important to view this not as a onetime project but as a continuous improvement. Awareness is the first step towards this transformation, being aware of what needs to be changed or improved is a good way to start. Hyper-awareness throughout the organization will allow for natural implementation of informed decisions and enables fast execution of any adoption of change. There will always be new challenges as time goes, therefore the digital transformation strategy must be agile enough to be aware and able to change courses when necessary to help the organization to achieve continuous improvement or change. 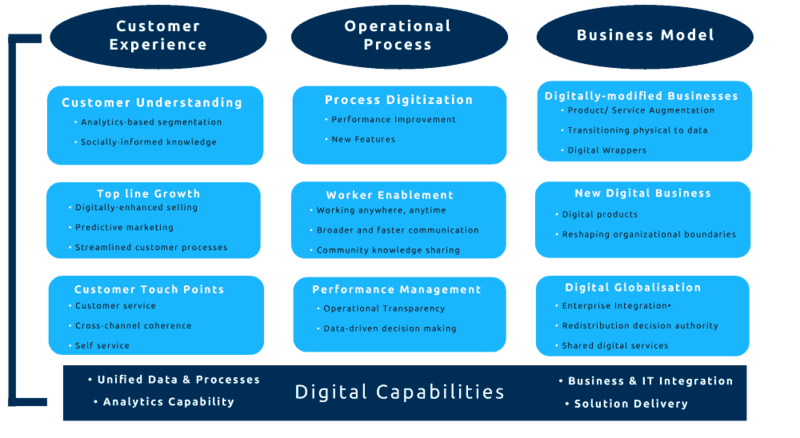 Optimization of processes and organizational operations with Digital Transformation enables better allocation of focus and thus more engagement with clients and a more productive workplace. 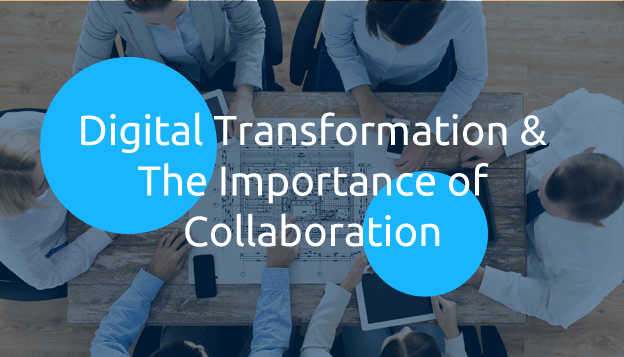 Digital transformation enhances methods of collaboration and this facilitates communication between workers and improves overall work flow. This loop of digital transformation will assure for continuous improvement as time goes on. 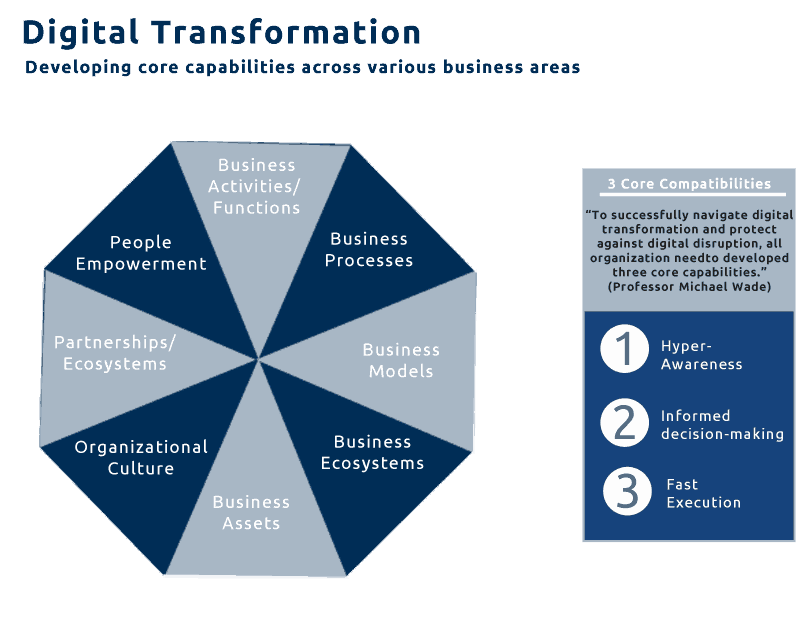 To enable the digital transformation, an organization requires a solid strategy which facilitates the connection of the different entities including people, departments, information, processes and technology such that adoption and usage of the right digital technologies at the right time and at the right place will enable organizations to increase business agility, provide better customer experience, and identify new business opportunities.